Tell me about your Personal Branding blog? The Personal Branding Blog (www.personalbrandingblog.com) is the number one resource for personal branding online. It focuses on how to build your personal brand for career success and touches on topics such as networking, search engine optimization, marketing and human resource practices, with a deep focus on web 2.0 technologies. It was the #1 job blog last year by Careerbuilder.com and is in the top 30 marketing blogs in the world. What is your book Me 2.0 about? Who should read it? Me 2.0 is about personal branding and how to leverage online tools to create the career you want and become known for your expertise. It is the first book of its kind written by a millennial for the millennial generation. It gives the history of personal branding, all the topics involved in personal branding, a four-step proven process, tips for entrepreneurs and a lot more. In the current economy, this is the one book that can help position you so that you keep your job or get a new job faster than everyone else. What do you think is the most important thing for someone just starting to build their personal brand? The most important thing is to discover your brand so that you can align what you do with who you are and be able to articulate that to your audience. It’s also imperative that you select a niche that blends your passion with your expertise, so that you can position yourself, where you’re compensated doing what you love. Most people just get involved in the social media world and neglect a branding strategy. They don’t get results because they had nothing to measure against. As a blogger, you should network with as many other bloggers in your industry as possible, especially the more influential ones. You should also blog a few times each week because it’s the only way to really get your name out there in the midst of all this clutter (300 million blogs). Also, be sure to comment on other blogs, write guest posts and join social networks where your audience is, so that you can attract them back to your blog. I wish bloggers wouldn’t post people’s emails on their blogs without asking for permission first. I think people need to be a bit more courteous and realize that their blogs can really hurt people’s reputations in an instant. Bloggers should ask before they post anything and be mindful that their influence can do everlasting damage. How has social media changed the way people do business? Social media has enabled people to connect directly with other people, instead of going through the media or working ten times as hard meeting people in real life. It have given everyone who leverages it a platform they can use to grow their business and build their brand name. I don’t drink coffee. This surprises most people because I have so much energy and I work over a hundred hours per week. I just don’t like the taste of coffee and think it’s unhealthy. If I ever drank coffee, I think I would have a heart attack! 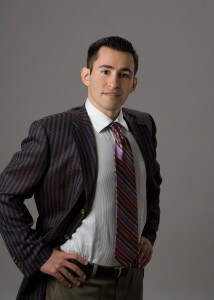 Thanks to Dan Schawbel, Personal Branding Expert from PersonalBrandingBlog.com ! Dan Schawbel is the leading personal branding expert for Gen-Y. He is the author of the bestselling career book, “Me 2.0: Build a Powerful Brand to Achieve Career Success (Kaplan, April 2009).” With over 100,000 results for his name in Google, Fast Company calls Dan a “personal branding force of nature.” He is the founder of the Personal Branding Blog®,which was the #1 job blog by Careerbuilder in 2008, is an AdAge top 50 marketing blog and is syndicated by Reuters, Forbes, Fox Business and other major networks. Dan is also the publisher of Personal Branding Magazine®, head judge for the Personal Brand Awards® and director of Personal Branding TV®.